A note to my writer friends. If you die and leave me with your brilliant unfinished manuscripts, I will burn them. No, he was more like, “Hey Max, these unfinished scraps are awful. Please burn them (wink, wink).” And then Max had to shovel that stuff together, assemble it into a finished-looking novel, hawk it to publishers, and then endure being called an awful person for years by scholars who objected to the way he’d edited his friend’s work. Meanwhile, is there anyone reading Max’s work? On Amazon, the only in-print English translation of a book by Brod is his memoir about his relationship with Franz Kafka (oh, okay, this also looks like it’s still in print: Tycho Brahe’s Path To God). If there’s anyone who deserves to be obscure, its Kafka. He didn’t even try. It’s kind of a truism that there are way more great books than there are famous books. Given that, why does an unfinished book that someone left in his desk drawer get to be a famous book? Here is normally where I say that, of course, the book deserves the plaudits its received. But I am not sure that’s true. 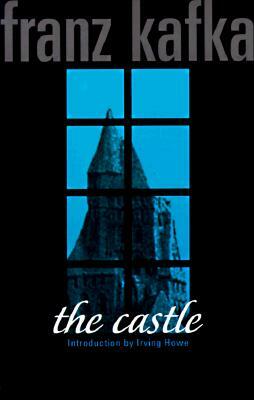 The Castle is unquestionably a great book. It’s very entertaining and it does lots of interesting things. I especially like the way it’s told primarily through monologues. Some of the monologues are really breathless and masterful, particularly Olga’s, near the end of the book. I enjoyed the book a lot. But I did not get the sense that this book ‘deserved’ the incredibly extravagant reward it received. I could understand it if this book had dandied itself up and combed its hair and thrown itself over a publisher’s transom like a good little boy. If the book had submitted itself to honest competition, I wouldn’t begrudge its success. But the book did no such thing! Instead, was a misshapen ugly thing, born of a neglectful parent who threw it in a trunk. It lolled around for years, doing nothing, and then got rescued by a fairy godmother. The book is basically the Cinderella of books. What book could deserve that kind of luck? More important, what did Kafka do to deserve his phenomenal luck? Isn’t the saying, “winners make their own luck”? How did Kafka make his own luck? While the rest of us are out here hustling for a break, Kafka just worked his cushy insurance job and did a lil’ scribbling in the early AM, and if he didn’t like what he wrote then he just didn’t send it out, or even bother to finish it. Of course, Kafka did have a few instances of bad luck in his life, like his horrible, early death–starving to death at age 40 because tuberculosis had screwed up his throat–but still, plenty of people suffer from horrible, early deaths…whereas only two people in all of history have been resurrected and acclaimed as world-class artists after telling their executors to burn all their work because they were annoying perfectionists who didn’t think it was that good (the other being, of course, Emily Dickinson). If it had only happened once, then we’d know that Kafka was a fluke. However, since it’s happened twice, I think we can safely assume that there must be hundreds or thousands of ‘great’ novels locked away in other desk drawers. My only consolation for the grotesque injustice of Kafka’s fate is imagining all the hundreds of Kafkas whose Max Brods looked at their novels and said, “Gee, this is interesting stuff. Shame he never finished it,” and then chucked the unfinished garbage into the fire. Some people would call that a tragedy. Not me. Those Kafkas deserved what they got. I’m not categorically saying that I would refuse to help out a dead homie who told me to “burn” his manuscripts, all I’m saying is…well…yeah, I think that is what I am saying. I will slap a magnet on your hard drive and not lose a moment of sleep over it. You have to read Charles Willeford’s Kafka story “Everyone’s Metamorphosis”. It’s in his collection THE SECOND HALF OF THE DOUBLE FEATURE. That is kind of how I think I’d feel if someone went out and published the stuff I wrote when I was 16 . . . There is that possibility, depending on what kind of perfectionist he was. However, I do think some portion of avowed “this isn’t up to my personal standards” confident-type perfectionists are REALLY “oh, I am really, really scared that people aren’t gonna like this” insecure-type perfectionists and it’s possible that, if Kafka was the latter, then maybe all this acclaim is making him happy.